The premise of HGTV’s Rehab Addict is simple: The show’s star, and home remodeler Nicole Curtis buys a historic home in Detroit or Minneapolis that has been ravaged by years of neglect and returns it to its former glory. But nearly five years after purchasing one Minneapolis property, the city is suing Curtis, claiming she hasn’t done the work, resulting in complaints from neighbors and piled-up bills. The lawsuit [PDF] was filed by the city in late January, but is only coming to the public’s attention now. The complaint alleges that Curtis and her company Detroit Renovations breached their contract by failing to redevelop the property, paying real estate taxes, or maintain insurance. 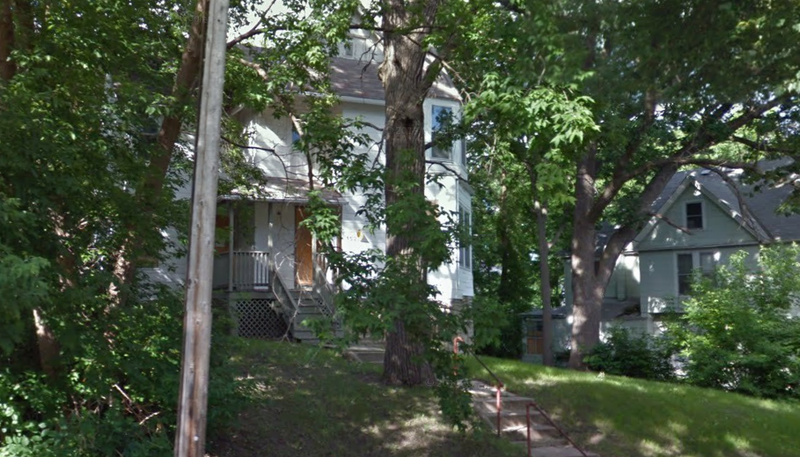 According to the city, Curtis paid $2 for the home and entered into a contract with the city in 2013, in which she would redevelop the dilapidated property (seen below in a Google Maps photo taken in 2011) into a single-family dwelling. “Specifically, [Curtis] agreed to make certain improvements to the property in substantial conformance with the construction plans submitted to and approved by the city,” the suit claims, adding that minimum improvements would be made within one month and that a substantial amount of construction would be done within 12 months. The contract also required Curtis and her company to maintain builder’s risk insurance, commercial general liability insurance, and worker’s compensation insurance. The city claims in the lawsuit that after nearly three years none of the requirements have been realized. In July 2016, the city says it sent Curtis a notice of default giving her until Sept. 30 to make required changes: making progress on construction, pay taxes, and maintain insurance. The city says that hasn’t happened. However, Curtis’ lawyers tell the Minneapolis Star Tribune she has paid the property taxes since receiving the default notice. Additionally, in a subsequent court filing, Curtis’ lawyers said that she was not able to make the required improvements to the home because the city and other third-parties prevented her from doing so, the Star Tribune reports. With the lawsuit, the city is asking the court to determine that Curtis breached the contract and give it permission to re-enter and take possession of the home. Issues on the property aren’t new, the Minneapolis Star Tribune reports. Curtis previously told the publication that she had trouble with contractors on the site. Curtis apparently alluded to the issues in a Facebook post, claiming that she had hired one to complete work by Dec. 2014, but that deadline was continuously pushed back. These issues allegedly led to two separate liens on the property. In all, those complaints totaled $36,000 for unpaid work. City Pages reported in June 2015 that neighbors of the property were unhappy that process was not being made on the home. One couple told the paper that they were excited to live next to the home, but that after two years the home still remained uninhabitable. They claim that trees and building materials remained littered around the yard, despite the fact that it had been months since any work had been performed. “As of now the property is a liability to us and the children of the neighborhood,” the couple told City Pages at the time.